Today we welcome the Summer Solstice, and the Sun moves into the Sign of Cancer, the Cardinal (Initiating) Water Sign. 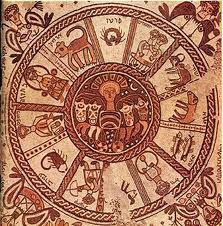 Cancer is associated with the Hebrew Month of Tammuz and the Tribe of Reuven. Reuven was the first-born of Leah and Jacob, he is portrayed in the Torah as emotional, loyal and attached to his family, especially his mother, on whose behalf he gathers medicinal herbs to stimulate her fertility, and whose honor he attempted to uphold after the death of Rachel, when he moved his father's bed into the tent of Bilhah, Leah's handmaiden, in a move to "right" what he considered to be "wrong" in his rather complicated family drama. As first-born, Reuven was the heir to the birthright but the leadership of the family of Jacob went to his brother Yehuda, as Reuven's emotions often got the better of him. Jacob his father describes him as "impetuous, like water" and yet Reuven was the one who pleaded with his brothers not to kill their brother Yosef, devising a plan to rescue him from the pit, but unable to follow through as he was overpowered by the machinations of his other brothers. Despite the loss of his birthright, the Tribe of Reuven was given the honor of being one of the Four Directions (Reuven to the South, Dan to the North, Ephraim to the West and Yehuda to the East) around the Mishkan as the Children of Israel traveled through the desert. In Parsha Korach (which we just read this Shabbat) the rebellious followers of Korach were able to influence some of the Tribe of Reuven to follow them in their rebellion, undoubtedly playing upon their emotionality and the suppressed resentment of having their birthright usurped by the Tribe of Yehuda. People born under the Sign of Cancer are emotional, sensitive, family and security oriented, and the things that trigger them the most are: FOOD, HOME, MOTHER, MONEY. 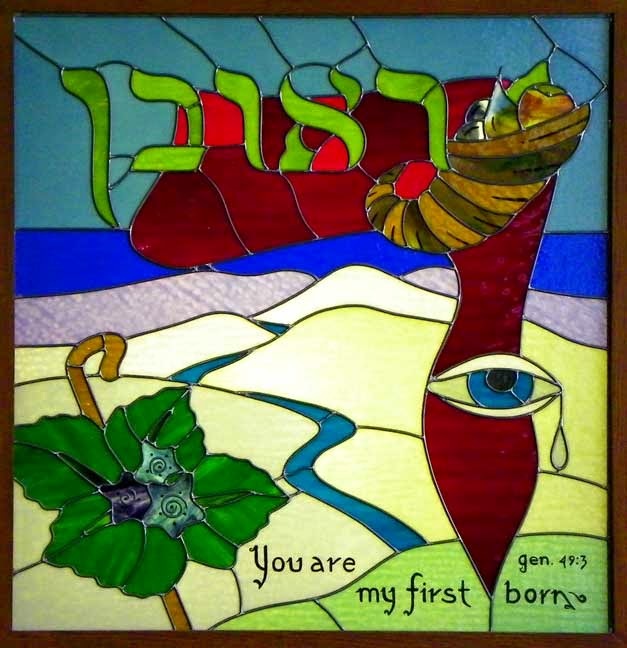 It is interesting to note that the Tribes assigned to guard the Four Directions are each either a natural first-born (Reuven and Dan, South and North, both the natural first-born of their respective mothers) or a son who has taken the place of the first-born (Yehuda and Ephraim, East and West, both were given first-born status and rights by Jacob). It's the "turn of the tide" again, as we change quadrants / directions in the progression of the year. From the East to the South - from Yehuda/Nissan to Reuven/Tammuz. Rosh Chodesh Tammuz is coming next Shabbat, we have a week between the Summer Solstice and the Cancer/Cancer New Moon, followed shortly thereafter by Rosh Chodesh Tammuz. As we swivel upon this axis, turning now at the "corner" demarcated by the Solstice and the Sun's ingress into Cancer, followed by Rosh Chodesh Tammuz, we are going from the Quadrant of Sacred Time assigned to initiating actions and self-motivated impetus to the Quadrant of Sacred Time assigned to manifesting creative production, self-expression, and healing. What does Sacred Time mean to YOU? Your personal Natal Chart is a portrait of your soul's journey though Sacred Time. Planets in the Four Quadrants and Two Hemispheres and their relation to each other are trigger points for teaching your life-lessons. 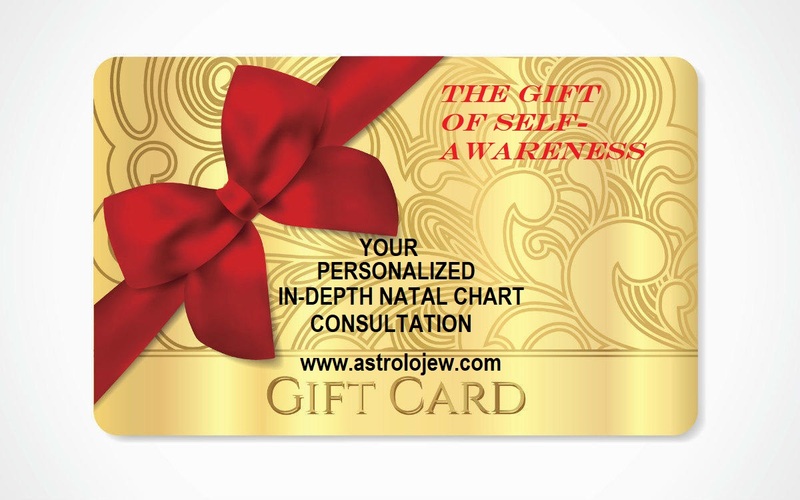 Be in touch for your personalized Natal Chart reading - in person, or by phone or Skype.